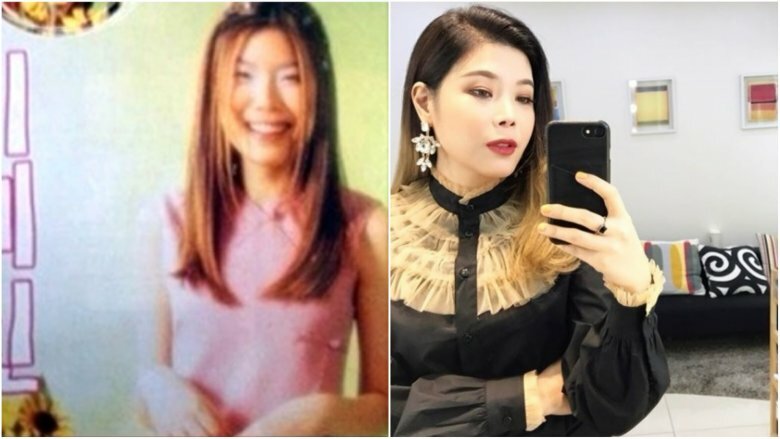 Seoul has become the unofficial plastic surgery capital of the world, with as many as one in three South Korean women thought to have gone under the knife, according to The New Yorker. The city even has an "Improvement Quarter" where there are reportedly as many as 500 clinics within a square mile offering a variety of procedures at increasingly affordable prices. The nation's obsession with surgery is, thanks in no small part, due to its music scene, where cosmetic enhancements have become the norm. 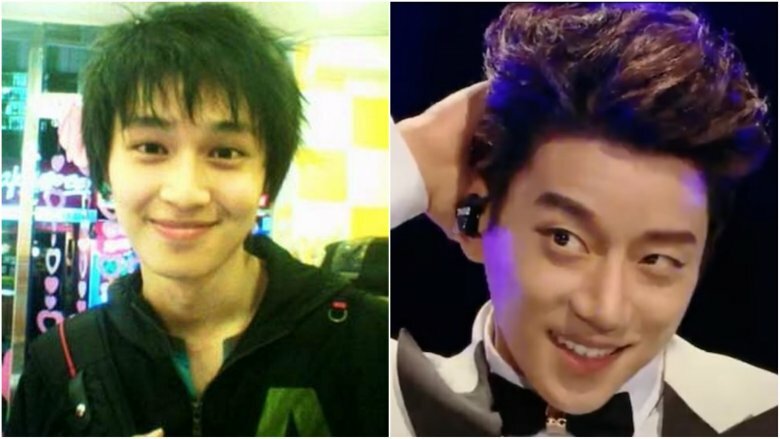 Countless K-pop stars have had their noses done, and some even have their jaws broken and shaved into a V-shape to create a more feminine appearance. The most common procedure is double eyelid surgery, which creates a more Western-looking eye. "In Korea, eyelid surgery is regarded as a gift from parents to congratulate graduation from high school to university," a Gangnam-based plastic surgeon told Business Insider. "Korea is a hugely competitive society and in the job market, a beautiful face is a great weapon." While it was once an open secret that K-pop stars underwent cosmetic procedures in large numbers, a growing number of those stars are going public about their physical alterations. Here's what some celebs looked like before the plastic surgery. K-pop groups differ from the majority of their Western counterparts in that they're formed via a large-scale auditioning process similar in format to shows such as American Idol. However, K-pop auditions typically take place behind closed doors. Walk-ins are held every weekend in both South Korea and the United States, according to Seoul Beats, with some of the industry's top companies opening offices in New York to scope out potential talent Stateside. This is the process that Hyomin (real name Park Sun-Young) went through to become the lead rapper and lead vocalist for T-ARA, who made its debut in 2009. 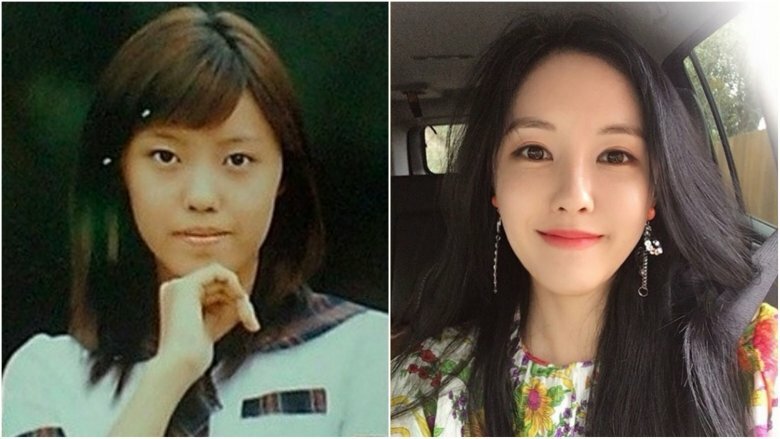 Hyomin has been open about her plastic surgery experience. "Our job requires us to give joy and entertain a lot of people, it's impossible to do that if you're not pretty," she said during her appearance on XO Quiz (via AllKpop). "There is obviously a part of us that wants to be pretty, but because the public looks at our visual, I think it's possible to fix a few things as long as you're not greedy in order to live up to those visual expectations." Formed in 2006 under the name Crescendo, the Brown Eyed Girls are a K-pop quartet who've been very open about their use of plastic surgery, especially Narsha. The group's lead vocalist admitted that surgery made her a "much prettier and happier" person during an appearance on Korean talk show Radio Star (via AllKpop), and host Kim Gu Ra agreed. "The Brown Eyed Girls wasn't so attractive at the time of their debut," he said bluntly. "I didn't think they would last very long." It was that kind of attitude that made the girl's turn to surgeons for help. "Because we are celebrities, it is impossible for us not to consistently monitor ourselves," Narsha said. "We often get hurt because of our appearance, and as a result, we tend to pay more attention to the way we look." She also spoke for her bandmates, particularly Miryo, who is no stranger to the surgeon's chair. "Miryo was also probably very conscious about her looks and felt a desire to become more beautiful. I don't think plastic surgery is a bad thing." The band fired back at its critics in a skit for SNL Korea, covering Lady Gaga's "Poker Face" but changing the lyrics to "Plastic Face." The expletive-laden song claims that most so-called natural beauties lie about having surgery and also name drops a bunch of male celebrities who've allegedly had work done. In March 2017, four-member girl group Six Bomb (previously a six-member group, hence the name) made the boldest statement on plastic surgery in the history of K-pop, releasing a pair of songs documenting their surgical transformations. In one of the videos, the girls dance around an operating room singing about the joys of surgery as they reveal their new faces. Six Bomb's record company, Pacemaker Entertainment, spent an estimated 100 million South Korean Won (about $93,000) on the stunt. The girls got "almost every kind of surgery that could be done on a face" as well as breast enlargements, according to their manager, Kim Il Woong. "We all wanted to get some surgeries done to look prettier … and thought, 'Why not perform a song about it instead of trying to conceal it?'" lead singer Dain told AFP (via BBC). "People will notice it anyway, so we wanted to be open about this reality where many women want to look pretty." The group's rapper, Soa, admitted that she had to think "long and hard" about the decision, but in the end, none of the girls were reportedly forced to go under the knife. The reaction has been a largely negative one, with many fans suggesting that the money would have been better spent on Six Bomb's production quality rather than its members' appearances. Debuting in 2005 with the song "Twins (Knock Out)," Super Junior quickly established itself on the K-pop scene and went on to gain a substantial following abroad, scoring four top ten hits on the Japan Hot 100 chart. Most members of the group (which currently has seven active members as well as four inactive ones) are rumored to have undergone a cosmetic procedure of some kind. One member who has definitely had work done is Shindong, who revealed that he was pressured to do so by his management. 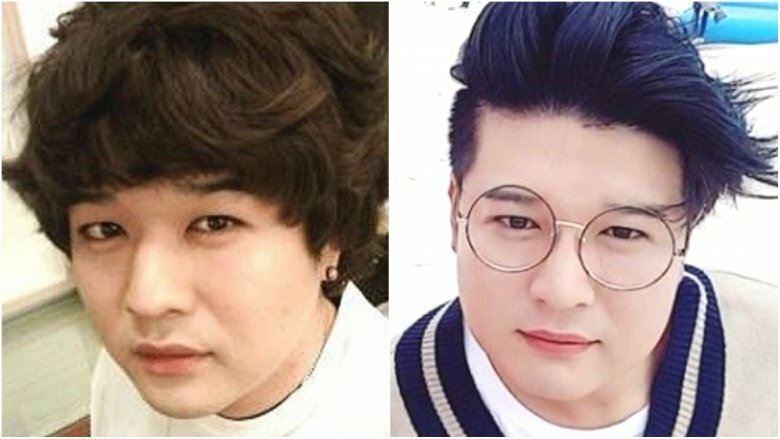 "One day, the president of our agency suggested I should have double eyelid surgery because I have an unpleasant look in my eyes, so I decided to follow his suggestion," Shindong is quoted as saying by MIJ. Such comments aren't nearly as shocking in Korea as they would be in the Western world, but it is still unusual for a K-pop star to admit publicly that their agency actively pushed them toward surgery. However, Shindong isn't afraid to speak his mind, on any topic — he caused outrage during a radio interview when he said women shouldn't be overweight but it was okay for men to be obese. After School made its debut in 2009 on MBC's Music Core, a weekly music show that features live performances from the newest K-pop talent. The girl group garnered international success too. Rolling Stone called it the Korean version of the Pussycat Dolls, and the group became the first winner of the Billboard Japan award for K-Pop new artist of the year. Uee (who is now a graduate member of After School) was asked about surgery when she appeared on Sang Sang Plus. She admitted to dabbling just a little. "A lot of people ask me if I got plastic surgery after debut," she said (via KpopRants). "My eyes are naturally uneven so I wanted to even them out. That's why I had a minor surgery on my eyes, that's it." 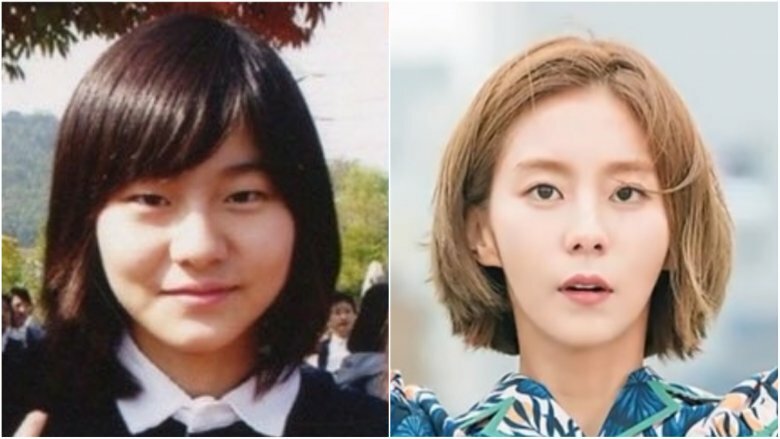 These claims were later brought into question when Uee sued a plastic surgeon for using images of her thighs and stomach without her permission on a blog. "During her early debut days Uee is pretty, but the fat on her thighs and stomach could be worked on," said the blog post. According to Uee, the doctor was never granted permission to use those images, and the court agreed, hitting him with a fine of about $2,800. Solo artist Hwang Chi Yeul has been around since 2007, when he dropped his debut album Five Senses, but he didn't gain mainstream recognition until years later when he began working in TV. In 2015, his agree enjoyed a big boost when he showcased his talents on the music-themed game show I Can See Your Voice. According to a report by South Korea's Hanteo Chart (via Korea JoongAng Daily), he was the top selling solo artist of the first half of 2017. Hwang has been happy to dish the dirt on his plastic surgery, openly discussing his nose job. "I actually had a nose that curved down," the ballad singer said, according to Soompi. "I didn't really have thoughts of plastic surgery, but before debut my management company said that we should do it, so I agreed." His comments reportedly didn't sit well with his new record label, whose attempts to shut Hwang up were apparently ignored. "Who cares," the singer said. "It's okay, I'm not an idol group member." 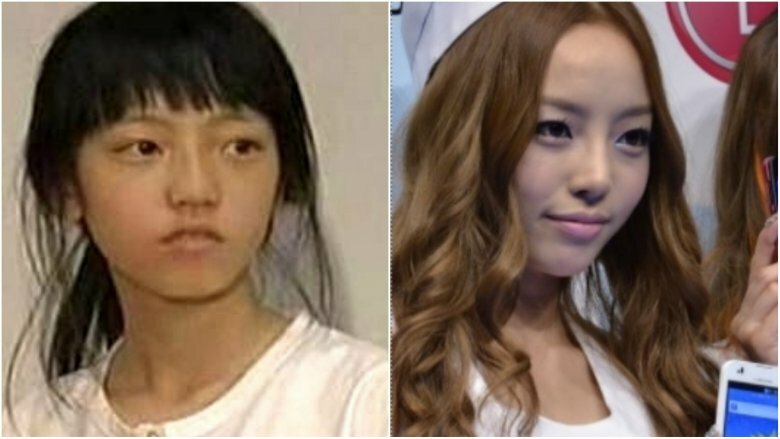 Created in 2007 by DSP Media, KARA was a girl group that was supposed to promote natural looks over plastic surgery, but lead rapper and official face of the group, Hara, later revealed that this wasn't truly the case. During an appearance on South Korean talk show Strong Heart (via AllKpop), Hara admitted that she had undergone some minor procedures in the past but was quick to deny accusations that she'd had her entire face done. "When people tell me it looks like I've fixed all parts of my face, it's so unfair," she said. "I already had folded eyelids but to make them more noticeable in pictures, I got them slightly fixed. I didn't get plastic surgery on my nose, I just got a shot. Also, I've had braces for my teeth." After KARA disbanded, Hara went solo and decided to change her look again, dropping her porcelain-skinned image in favor of a darker skin tone. "I got a tan in order to show another side that's different from what I've shown in KARA." she told Entertainment Weekly (via Soompi). Formed in 2010 under the name Children of Empire, the group that would eventually become known as ZE:A garnered publicity by putting on pop-up shows all across Seoul and allowing fans to create its videos. Sub-vocalist and official face of the nine-member group, Kwanghee, is well-known for openly discussing his plastic surgery, and he isn't afraid to comment on the appearances of other K-pop stars while he's at it. During an eventful appearance on Radio Star, Kwanghee told host and former singer Yoon Jong Shin that he would be better looking if he got the inner corners of his eyes sewed up. "I know a hospital that's really good at that, all it takes is one shot," he said. "They don't even put you to sleep, all you have to do is lay down." 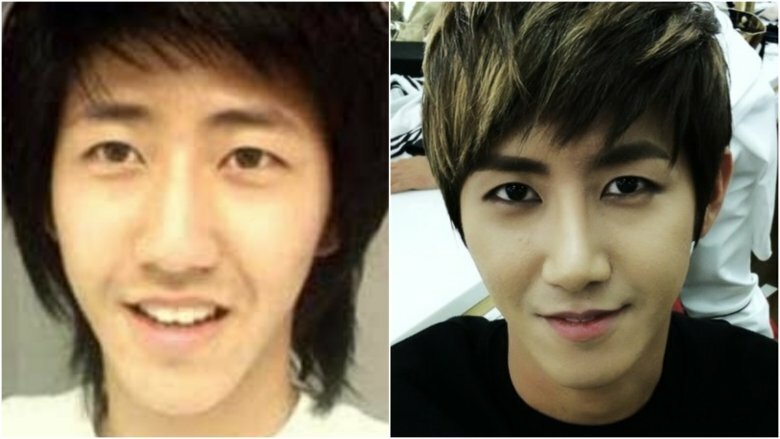 Kwanghee (who happens to hold the Guinness World Record for wearing the most layers of clothing at one time) revealed that his own plastic surgeries were inspired by a member of K-pop group SS501. "I always heard that I resembled Kim Hyung Jun senior so he was my inspiration when I went in for surgery," he said. Rumors that solo artist Lyn had work done began to stick after she dropped a huge hint during an appearance on TV talent show Immortal Songs 2 in 2012. The singer was asked about her comments (and the aftermath of them) on Radio Star, revealing that she accidentally caused a media storm. "There were a frenzy of comments," she said (via AllKpop), explaining that the shape of her nose is the result of a procedure that has changed over time. "I heard you have to do it once every ten years," she said. "Like in the case of the nose, they say that the implant gets stuck to the skin and curls up. It has been ten years since I did the surgery and my nose is like a pig's nose. That's why when I take pictures these days, I cover up my nose."